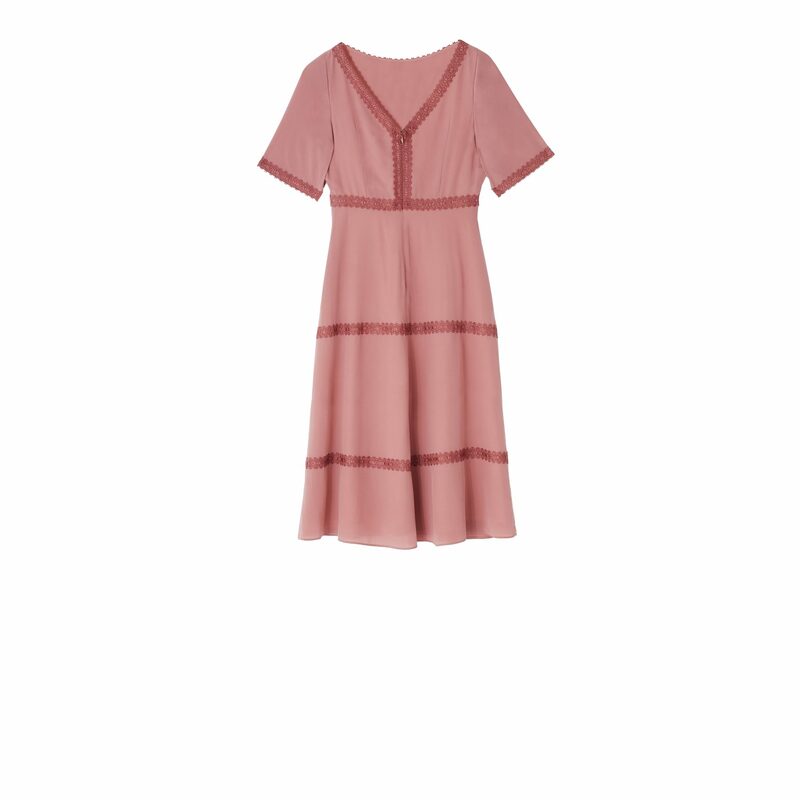 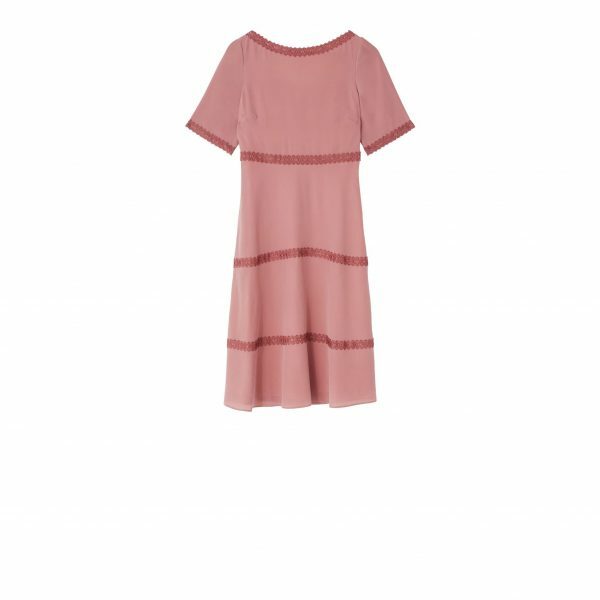 A simple elegant silk dress silhouette with slash neck and v back that is elegantly trimmed with contrasting tonal rose lace. 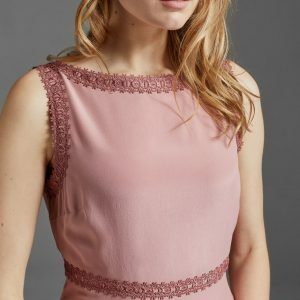 A simple elegant silk dress silhouette with slash neck and v back that is elegantly trimmed with contrasting tonal rose lace. 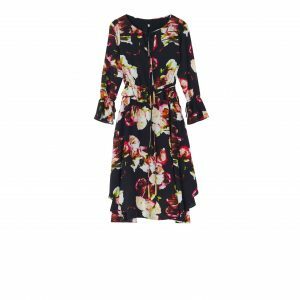 With a sleeve that perfectly covers the bicep and finishes comfortably at the elbow and length that skims over the knee this is a very flattering shape.